Ieri sono andata a New York per un pranzo. Bertolli mi ha invitato a mangiare pasta e….. Wait, am I not in Italy right now? 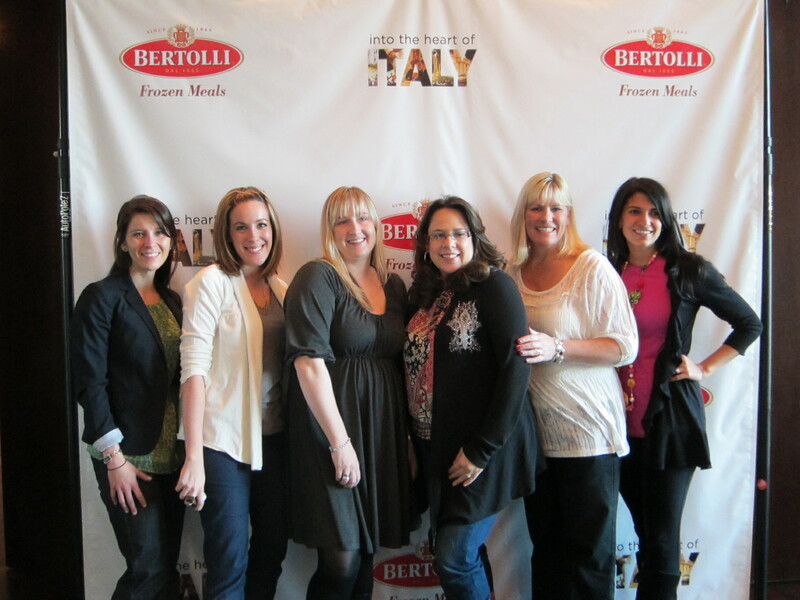 Yesterday’s Bertolli lunch in New York City has me dreaming of Italy. It has now been four years since I have visited, and I miss it terribly. 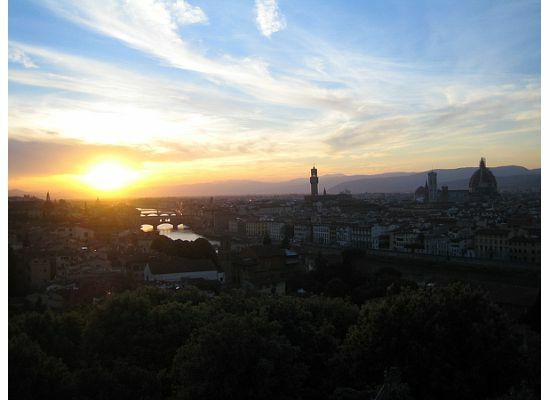 After living in Florence for 8 months in 2004 I said I left my heart there. 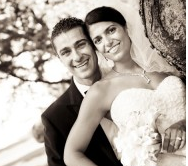 While I found love and a beautiful life here, a piece of my heart will always remain in Italia. The last time I visited was in 2006 with my girlfriends Lynne and Gina, and we had an epic trip (that was for you, Caitlin). 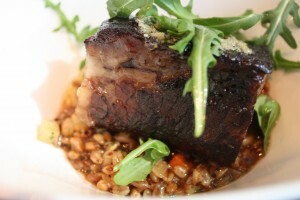 We visited our favorite sites, drank lots of good wine, danced and indulged in some delicious meals! Flash forward to A Voce in New York’s Columbus Circle. I am sitting with some lovely bloggers, eating delicious pasta, and watching the first webisode of “Into the Heart of Italy“. Rocco DiSpirito, Dan Cortese, and Marisa Tomei visit Italy and explore the country through its food. From what I have already seen, the webisodes not only welcome you into the heart of Italy, but they warm your heart. Even watching the preview I found myself wistful for another moment in Italy, another bite of delicious homemade pasta or cheese, another passeggiata down a beautiful street. I miss Italy. We were served a beautiful lunch inspired by the flavors the 3 discovered in Italy. 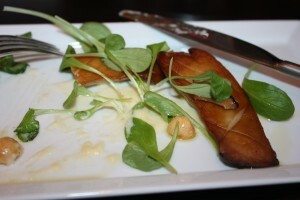 The appetizer was simple but decadent.. a few mushrooms laid on a bed of creamy fonduta with just a hint of truffles. 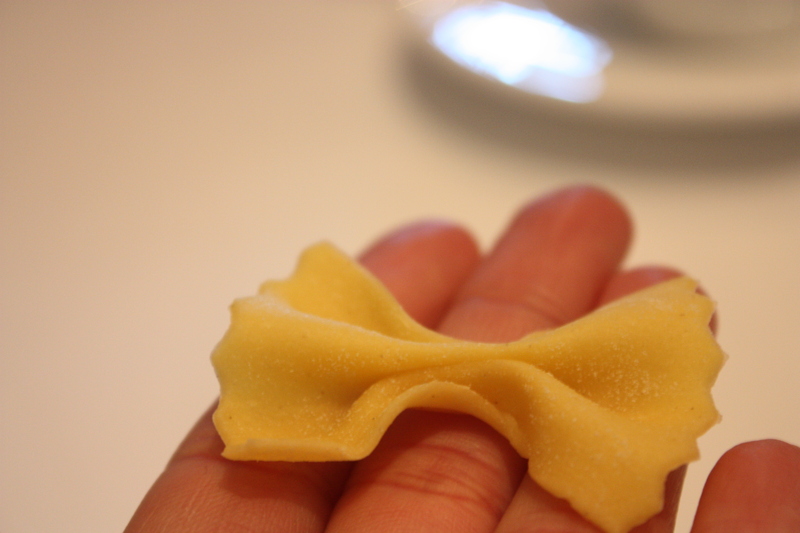 Il primo was a beautiful, lightly dressed plate of farfalle (a pasta also known here as bowties) with pecorio romano and rapini. Il secondo was farro (one of my favorite grains, and one I rarely find here in the quality I enjoy) with braised beef short ribs. 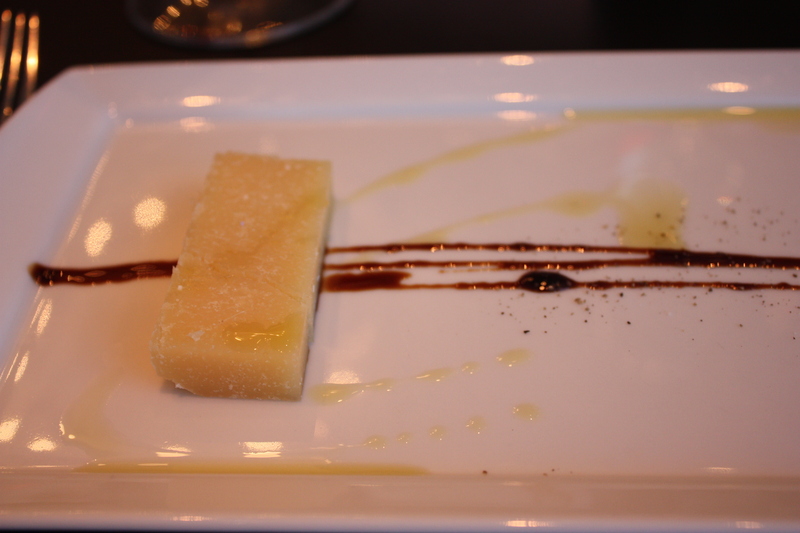 A small course of a hunk of parmigiano reggiano was served with balsamic, but I did not try it. I was too busy chatting in Italiano con mia amica da bell’alimento! 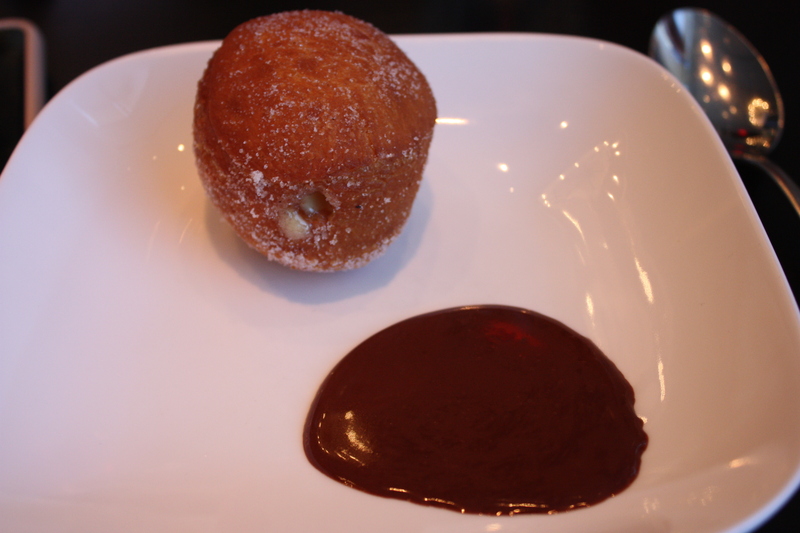 For the grand finale we were served BOMBOLINI! For those of you that don’t know, just think… heavenly. These were lightly fried donuts filled with a cream and served with a dark chocolate sauce. Thank you for the photo, Tina! In my opinion, pasta dough does not have to be difficult to make. 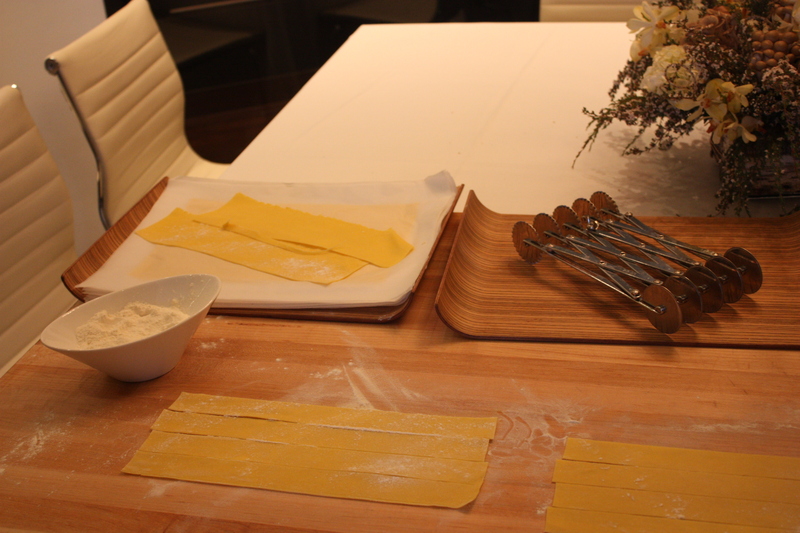 As many of you saw, I made pumpkin ravioli with some friends in the fall, and it was not only easy but lots of fun! The farfalle pinch, however, was much more difficult. I have to admit I was jealous that Tina got it right on the first, second, third, and fourth tries! I thoroughly enjoyed a decadent cappuccino as well as a cookie during the farfalle demonstration. The whole afternoon I really felt as though I was in Italy. The lunch felt like an Italian getaway, where time has no end and a 3 hour lunch is expected. If you want to take a break from the daily grind to relax and step into Italy for a moment, watch these webisodes (Episode 1). 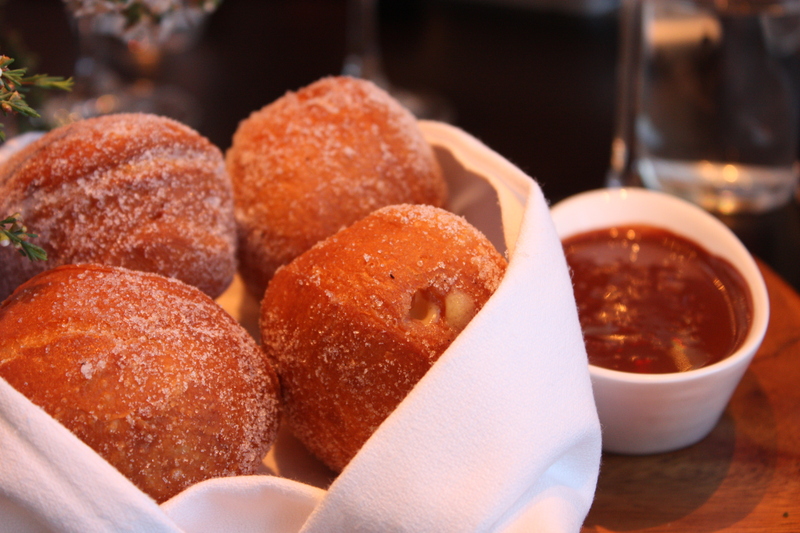 While they don’t come with wine and fabulous cappuccinos, they will make you smile. Thank you for a memorable afternoon, Bertolli! That is such an amazing experience! I’d love to be invited to such an awesome event! You look cute and non-preggers. 😀 Cut your hair like that again! I went to Florence on my honeymoon and absolutely loved it there. I can’t wait to go back. I love the pictures. Your hair looks awesome with layers! Glad you had a great time with Bertolli. All of the food looks fantastic! 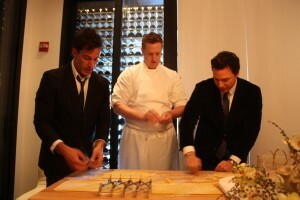 That looks like SO much fun, a trip to Italy without leaving the US. I love Italy too. My SIL, BIL, and 2 baby nephews live there, but we haven’t been in 2 years. Time to go this fall! 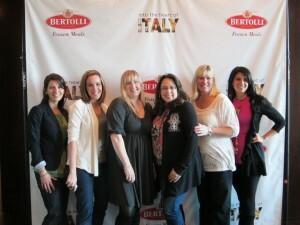 d) looks like a fun time at the bertolli event! @elise, I have never been to Barcelona but I am dying to go! And my heart hurts when I think about Italia because I miss it so much! What an experience! I’m going to have to check out that show. I love freshly made pasta. My boyfriend and I have plans to try to make some of our own next week. It’s going to be fun! ho studiato a Sesto Fiorentino, qui vicino a Firenze il scorso anno… your pictures bring back so many memories! I miss all the great food there, so fresh and pasta every night, I’m hoping to return after graduation before grad school. Ciao bella! E stato un piacere conoscerti! Ah, right not in Italy LOL This was such an amazing event. I feel so lucky to have gotten to meet such wonderful people & of course to have eaten such incredible food! Simply a fantastic experience (e quando hai voglia di parlare l’italiano basta a chiamarmi ; ) Baci!